Do you hear that? That is the sound of Santa coming from the North Pole. Are you excited? Because for sure I am. If you have been bad, be sure you are on Santa’s Naughty List, and you will get lumps of coal on Christmas night. Those who are on this list you should not expect to get anything better from Santa. However, for those who have been good, Santa has much lined up for you. What is going on your mind right now? Do you want Santa to bring you that pony you have always wanted or are you trying to figure out where does he live? Many people believe Santa resides on the North Pole and rides on a magical sleigh driven by reindeers. Of course, this makes sense because reindeers are found on the North Pole. Now the problem is determining, which part of the North Pole because it is a big area. According to me, knowing Santa location would ruin the fun and surprise that comes with Santa’s mystery. Of course, if you saw Santa crawl down your chimney, it would ruin the surprise you get in the morning when you find that favorite toy you have always wanted. In fact, Santa would not like it very much if you saw him. This Christmas do not attempt to trap Santa because you might end up on the naughty list. With that in mind, it is official that Mr. and Mrs. Santa lives on the North Pole. The selfless man in red wants to stay as far away from civilization as possible. Why did he choose to live there? In fact, I thought if he lived near the equator, he would ride the sleigh for short distances when delivering the gifts. Maybe he does not like making detours while delivering Christmas gifts. Probably, he likes making one tour from the North to the South and back. Would you want Santa to come to your home riding a terrifying Bear? The answer is still “no.” Santa is friendly and he is always bringing you things to make you feel better. He makes extraordinary sacrifices riding through freezing weather to make you and your friends enjoy Christmas. Do you ever think of that? When I was a little, I always baked Santa some cookies to keep him warm and re-energized during his journey. Why don’t you make him a warm scarf to keep him warm this Christmas? Of course, we would not want Santa to catch a cold or fall sick this Christmas. This would be terrible because we would not get any presents. Try to do something nice for him this time round. For the doubters, what will you do to determine that Santa is real? Always remember I warned you against trying to trap him because you will end up on the naughty list. Does it hurt being on the naughty list? Getting lumps of coal on Christmas night is the most disappointing thing that can ever happen to you during Christmas. Imagine all your friends who you attend school with having cool gifts from Santa and you are the only one who does not receive a Christmas present. It’s terrible. Learn this firsthand from someone who was on the naughty list for one Christmas. I cried all night long and vowed that I will always be good from that day onwards and since then Santa has never skipped our house. Last Christmas, my uncle Jake had an encounter with Santa. He told me that Santa reveals himself to people who have been extremely good. In fact, he asked Santa where exactly his home was. 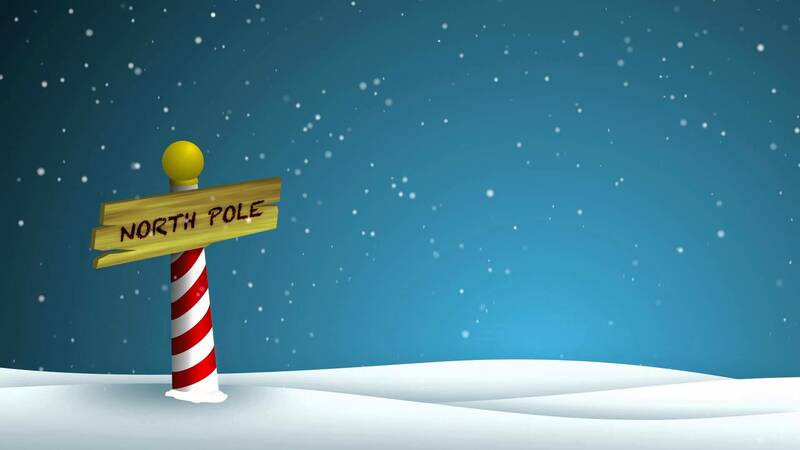 Santa said it was on the North Pole but did not give him the exact location. He said he lived in a magical workshop filled with hardworking elves and red-nosed reindeer. The elves always make sure that they read each letter you sent to Santa and make your gift as requested. Once the gift business is finished, together with Mrs. Santa they take a one-month vacation every January to Barbuda. Therefore, if you have been on your best behavior you might as well be able to see and ask Santa all the questions you have always wanted including where he lives. Nonetheless, do not expect him to disclose his actual location. With all those questions about is real home people have come with different suggestions on his actual home. Is he in the North Pole? Many people in North America believe he resides in the North Pole. This belief has been there since long time ago. In fact, George P. Webster wrote a poem about Santa, stating that his home was near the North Pole. There is a city in Alaska named “North Pole” and has a Santa Claus house, which is a large gift shop where people shop for Christmas present. Most of the people believe that Santa usually drops off some Christmas gifts at this shop. The place is not also short of reindeers. Probably, Santa’s home is hidden somewhere in this cold desert. People in the UK believe that Santa lives in Lapland. When I mention this location, what comes into mind? Probably, you are thinking of Lapland as a magical place full of elves, reindeers, and gifts ready to be dropped down the chimney this Christmas. Did you know that Lapland is real and it is the Northern-most region of Finland? It is the perfect spot for Santa because it is covered with snow and has plenty of reindeers. However, some Finnish people do not believe this and they highly disagree. Some people usually visit this area during Christmas in anticipation to see Santa. Nevertheless, how do you expect to see him at this time of the year when he is busy delivering presents? Wait a minute; is he Found in Greenland? Danish people have this belief that he is found in Greenland. The children who live in this area have always written secret letters and posted to his secret address. Many people have always associated Greenland with Christmas. Many of the people around the world import Christmas trees from here. Some other people say Santa spends his Christmas holiday in Greenland. There is untold mystery that involves this place and Christmas. The Norwegians are not about to let the Finnish take all the credit. They believe that Santa is somewhere in Drøbak. They always believe that Santa was even born in this place and he is not likely to move any time soon. Visit this town and you will find Santa Gift Shop and Santa Post Office. The Post Office always handles the letters that the kids send to Santa. His hardworking dwarfs always come to pick them at night. Many people in December always visits Drøbak to try to see the real Santa. But common! Santa is too busy at this time of the year. Did you know he has a Home in China? Chinese believe that Santa sometimes resides in China. Am just hoping that he will not outsource all the work to the Chinese Elves. The Chinese people even created a unique sculpture for him. I personally, do not believe he actually has a home there. It is official that Santa likes cold weather. But have you ever taken a second to think of all the good places on earth, why choose the North Pole? In fact, if I were Santa, I would choose a cool place like Hawaii and before Christmas I would spend my time basking on the beautiful beaches. We also agree that everybody loves Santa. Why not just go trotting around the globe visiting his fans. Despite of all of this, Santa chooses to live in the desolate north with his reindeers and elves. This shows that he is very humble, and he would like every kid to be just like him. Additionally, oozing snow is always a symbol of Christmas. The North Pole always creates the illusion of Christmas. It offers him with the much-needed privacy because not many people who like living in an extremely cold environment. This gives him time to create gifts for everybody. Now that we have determined Santa is coming this Christmas, what are you hoping to get? Let’s hope is something good and be on your best behavior to avoid getting lumps of coal.